NuGet Gallery | Packages matching Tags:"SCRAPING"
28 packages returned for Tags:"SCRAPING"
Turn unstructured HTML pages into structured data. The OpenScraping library can extract information from HTML pages using a JSON config file with xPath rules. 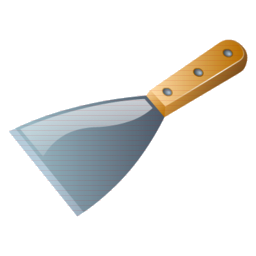 It can scrape even multi-level complex objects such as tables and forum posts. SgmlReader for Portable Library. SgmlReader is "SGML" markup language parser, and derived from System.Xml.XmlReader in .NET CLR. But, most popular usage the "HTML" parser. (It's scraper!!) /* Use SgmlReader in Html parse mode. */ XDocument document = SgmlReader.Parse(stream); Done! Simple .NET library that provides generic web scraping abilities using XPaths. A library for reading/writing WARC files and scraping websites. Uma biblioteca desenvolvida sobre o DotNet Core v1.1 possibilitando o spidering de sites para enumeração de animes e mangás. Hext is a set of extensions for HTML Agility Pack that aim to provide a concise, expressive syntax. Got questions about NuGet or the NuGet Gallery? Find out the service status of NuGet.org and its related services. Read the Frequently Asked Questions about NuGet and see if your question made the list.